First came the harpsichord, followed three centuries later by the fortepiano. After much development, the piano and the piano recital were born. 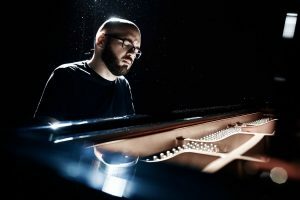 Nihilistic Analogs presents an expansion of the possibilities of the piano in collaboration with electronic media, where pre-recorded material functions as a chamber music partner, and live processing modifies the sound of the piano and enlarges the already big sonic possibilities of the instrument. The music that forms Nihilistic Analogs imagines what sonic window shopping can be, surrounded by the sounds of failing cement mixers and other mechanical noises. There is also the deconstruction of one of the most loved (and hated) pieces in the piano repertoire, a Swiss explorer getting lost in the desert and what Indian classical music sounds like through the ears of a Mexican composer.